The town of Shinonsen is located by the Sea of Japan. 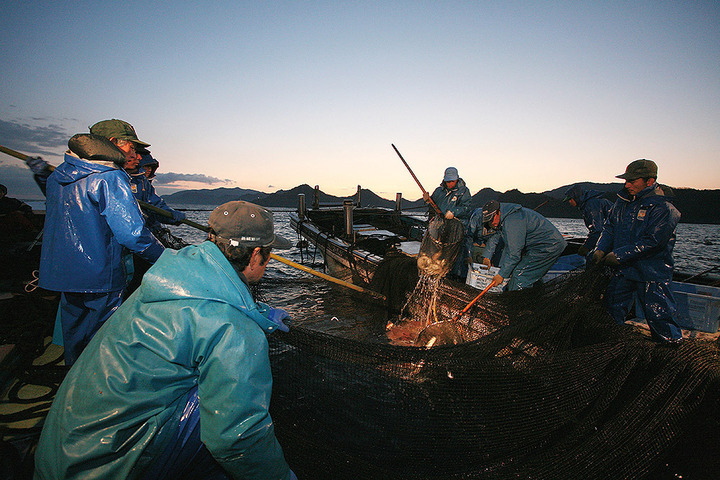 The local inns offer fresh seafood caught in Hamasaka bay. When cherry trees bloom in spring, there are fresh firefly squids. 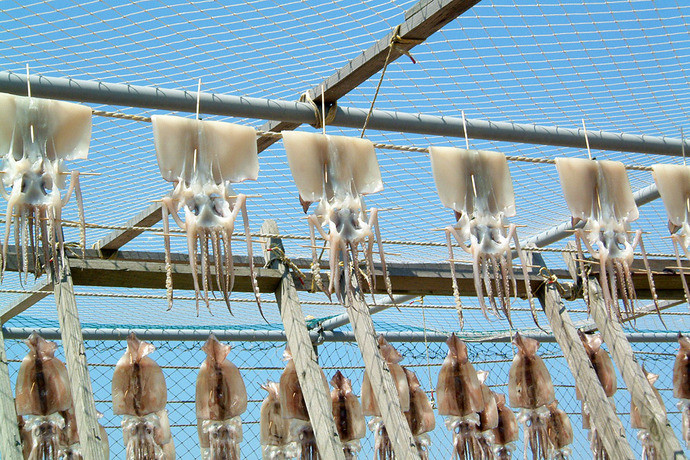 These are prepared either raw (sashimi) or blanched. 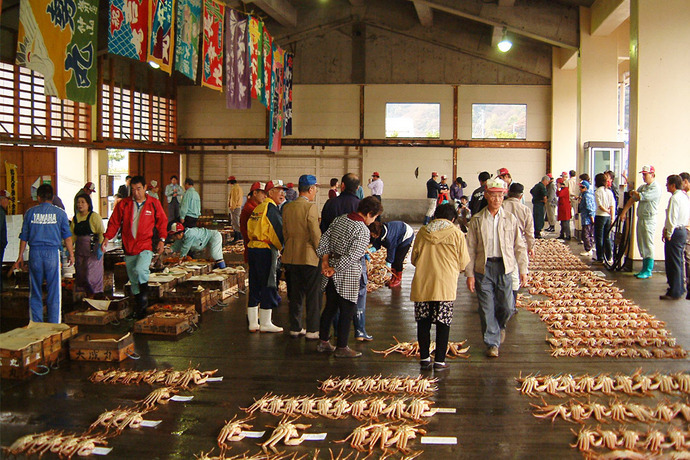 You can also enjoy fresh matsuba crab (snow crab) cuisine in winter. For example spicy grilled crab, sweet crab sashimi, and Kanisuki specialty dishes that will warm you to the core.